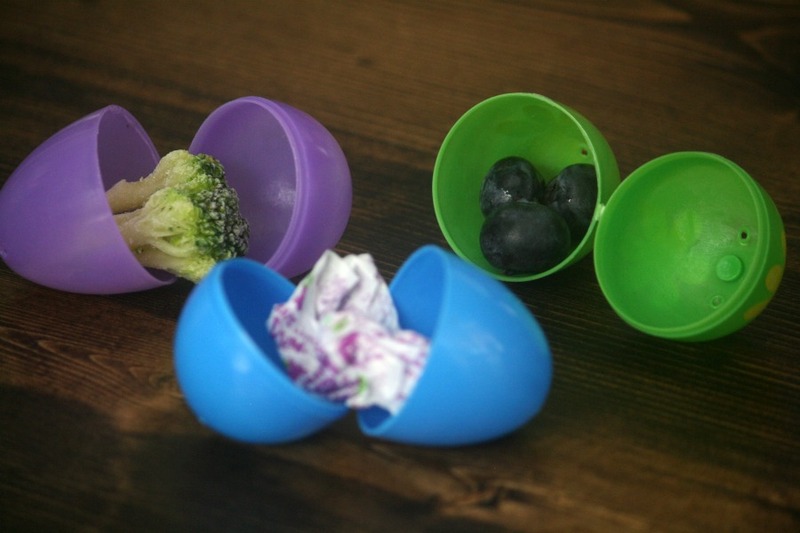 Below: Need some Easter-specific April Fools pranks to play on your kids? (Easter falls on April Fools’ Day this year!) 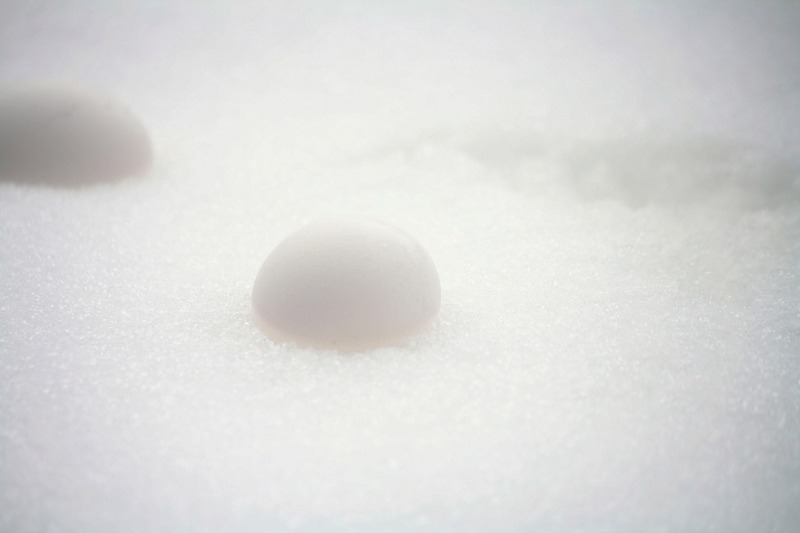 I’ve got you covered with these six fun ideas. April Fools’ Day is my holiday. I don’t do much for Valentine’s Day. I don’t do anything for St. Patrick’s Day. But when April 1st rolls around, I am ON IT. For the past four or five years, I’ve spent the weeks leading up to April Fools’ Day scouring the internet and asking friends for ideas. I’ve made my plans, prepared my supplies, done my set-up, and waited in eager anticipation for the pranks to befall my hapless children (and occasionally my husband, but he’s not very fun to prank). After they’re completed, I always add them to my list of graded April Fools’ Day pranks. It’s my service to the public: You don’t have to perform sub-par April Fools jokes if you’ve already been told that they don’t work well. 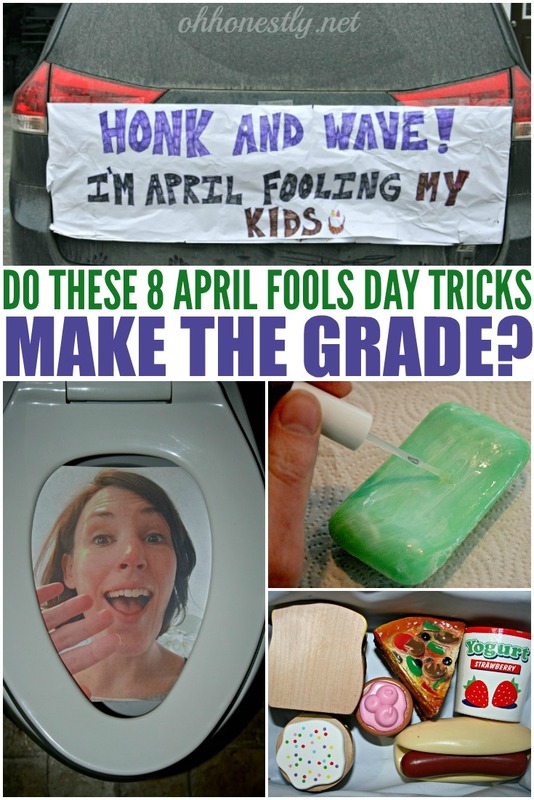 Get more April Fools prank ideas by clicking on the picture below. This year is a very special year because Easter falls on April 1st. It won’t happen again until 2029, so we need to seize this opportunity now! 1. What’s in that Easter egg? My family always hosts Easter lunch for our extended family and friends. After we’ve eaten, all the kids do a big egg hunt. I typically fill around 300 eggs with candy in preparation. This year, only some of the eggs will have candy in them. The others will be filled with goodies like veggies, empty candy wrappers, or better yet, candy wrappers that have had the candy swapped with veggies. This isn’t a sure bet since we’re never sure if we’ll have snow for Easter or not. Sometimes we do. Sometimes we don’t. If we do, we’ll use real eggs for our hunt and it’ll be the hardest egg hunt the kids have ever done. 3. I can’t find them! Before we hide the actual Easter eggs, we can tell the kids the hunt is ready and set them loose in the yard. I wonder how long it’ll take before they realize we didn’t actually hide them yet. No Easter dinner is complete without dessert. Sponge cake is the perfect spring dessert because it’s so light and airy. This sponge cake will take it to a whole new level because it will be made with actual sponges. To make this extra believable, I think I’ll have the kids help me make the real cake, then I’ll put this one together after they go to bed the night before. As long as it looks similar, they won’t know until we cut into it that I pulled a switcheroo. Usually we dye Easter eggs before Easter day, so it won’t technically be April Fools’ Day, but I’m okay with that. I’ll swap out a few of the hard-boiled eggs with raw ones in hopes that someone will accidentally squeeze too hard or drop it when they’re decorating. Messy? Yes. Funny? Also yes. I can picture my kids freaking out as egg goo covers their fingers. Note: If I do this, I need to make sure I somehow mark the raw eggs so I know which is which afterwards. We don’t go overboard on the gift-giving for Easter. 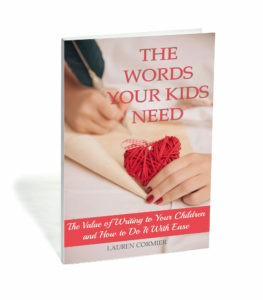 We love doing Easter baskets, but we keep it simple: Maybe a couple of small toys, a little bit of candy (solid Cadbury bunnies are a must), and a book they’ve been wanting. What if this year their Easter baskets took a much more practical turn? In the days leading up to Easter, we’ll talk about how they really need to get more involved in the day-to-day upkeep of our home. 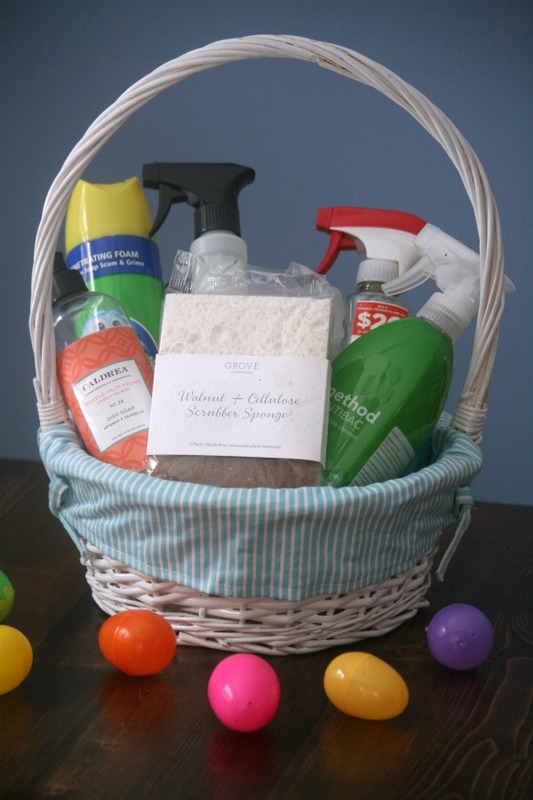 Then on Easter day, they’ll receive a basket full of cleaning supplies. Or maybe we’ll tell them that we think they’re not learning enough at school and their baskets will contain a fake brochure for the six hour a day, five day a week summer tutoring program we signed them up for. 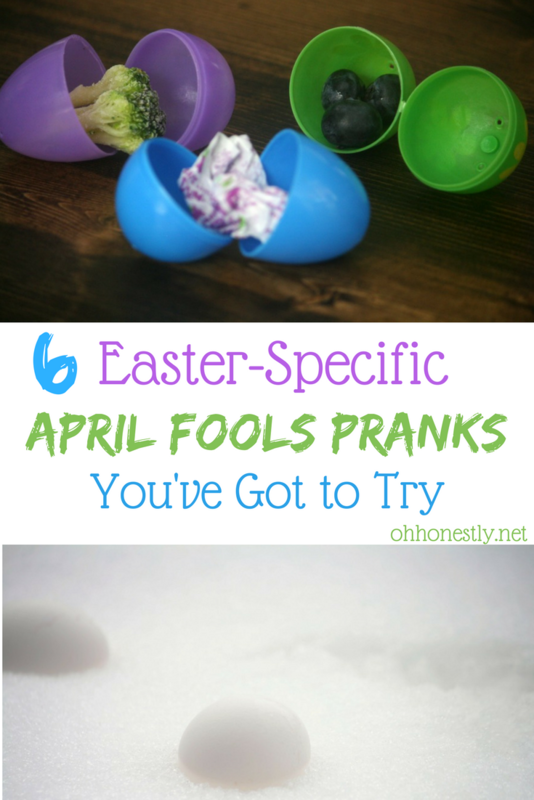 What are your Easter-specific April Fools’ Day prank ideas? Tell us in the comments so we can all make this the BEST Easter/April Fools’ Day ever!! 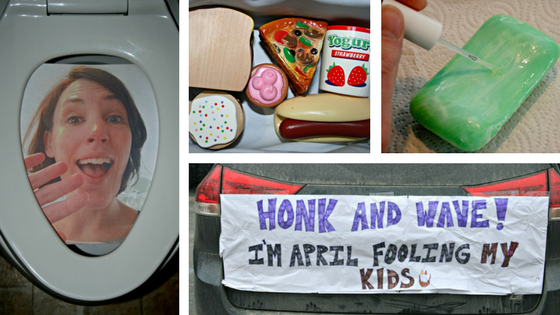 Don’t forget to check out my list of April Fools pranks that I’ve tried and graded! Be careful with the sponges. Last year we pranked our kids with sponge brownies. Only the dog got to them first. Dog stomach surgery April Fools Day 2017 is one we won’t forget! OMG!!!!! You are HYSTERICAL!!!! I love to laugh with my kids!!!! We always did pranks for April Fools!! These are fantastic! My 12 year old was telling me that she is nervous/excited to see what I’m going to do on Easter/April Fools Day. I’ve never been good at April Fools Day, apparently she doesn’t know that lol. Now she’s sure not to be disappointed and Im so excited! These are FABULOUS! To add to this..I plan on putting stuff in a Christmas stocking rather than an Easter Basket. Just to see their faces. For telling the raw eggs apart you can mark them with a clear or white crayon and that way after they are dyed you will be able to tell. Unless your littles are super observant they shouldn’t notice a small invisible wax mark on their eggs, at least not until after they’ve been dyed. Cut the string holding the bottom of the Easter basket together so that when eggs aren’t out in them the extra weight will cause the bottom to give out. Or, wake up early and fill some of the eggs with flour so they’ll explode when opened. U can make fake poop by taking chocolate sauce and peanut butter together with a little heat and putting in a ziplock bag, cut the tip of the bag and squirt where u want 😂😂(I have doe this before and it’s PRICELESS!